I am saddened this morning to present yet another Memorial Edition of the NNHS Newsletter. Elaine Graham Gray passed away in Newport News on Wednesday, April 23, 2008 less than three weeks after her 63rd birthday. Although she didn't graduate from Newport News High School, she had been a member of the Class of 1963. She was from a large family, and her siblings also attended NNHS: Sue Graham Ferrell, Jack Graham, Peggy Graham Hobbs, Gerald Graham ('63), Norma Graham Elliott ('65), and Darrel Graham ('67). NEWPORT NEWS - Elaine Gray passed away peacefully on Wednesday, April 23, 2008, in her home with her family by her side. She was born in Coeburn, Va., on April 5, 1945, daughter of the late Sam and June Graham. 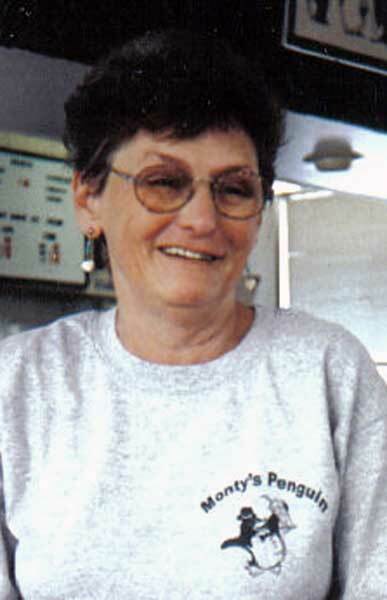 Elaine worked for over 40 years at 'Monty's Penguin,' touching many lives and reluctantly retiring last year due to her struggle with lung cancer. Elaine has gone to be with her great idol, Dale Earnhardt. 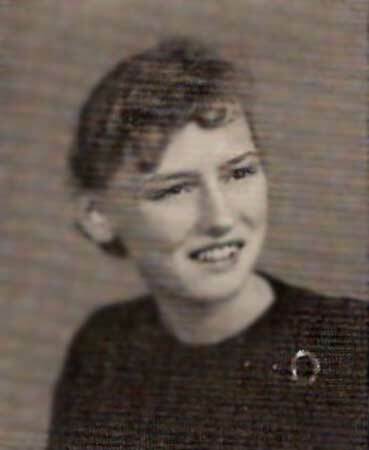 She is survived by her three sons, Ronnie Gray, John Bob Gray and wife, Rosemary, and Donnie R. Gray and wife, Terry; five grandchildren, Katy, Heather, Kyle, Katie and Brandon; three sisters, Peggy Hobbs, Norma Elliott and husband, Dale, and Sue Ferrell and husband, Floyd; and three brothers, Jack Graham and wife, Mary, Gerald Graham and wife, Judy, Darrel Graham and wife, Phyllis. A special thanks goes to her extended family, Bonnie Rice and Carolyn Baldwin, for all their support and love. The family will receive friends from 6 to 8 p.m. Friday, April 25, at Peninsula Funeral Home. In lieu of flowers, memorial donations may be made to Smithfield Baptist Church 'SBC' Relay for Life team, 100 Wainwright Drive, Smithfield, VA 23430. Peninsula Funeral Home is in charge of arrangements. View and post condolences on our online guestbook at dailypress.com/guestbooks . Published in the Daily Press from 4/24/2008 - 4/25/2008. THE GRAY FAMILY, I AM SO SORRY FOR YOUR LOSS. I WILL MISS LANIE SO MUCH. I WILL KEEP HER AND THE FAMILY IN MY PRAYERS. GOD BLESS YOU ALL. We were truly saddened to hear that Elaine had passed away. When we lived in Newport News, we ate breakfast at Monty's and always wanted Elaine to serve us. She was a little lady with a big heart and personality. She could talk to you about anything, but her true passions were her family and Nascar. I know she will be missed by all who knew her. Our thoughts and prayers are with you all. I am so sorry for your loss. I worked with Elaine off and on for 10 years at Monty's. She was such a wonderful woman! I always looked forward to working with her, and making sure I didn't steal her rag on accident! :) She will be greatly missed, but her memory will definitely live on in our hearts. Your family is in my thoughts and prayers. My thoughts and prayers are with Sue Ferrell and her family at this difficult time. II was so saddened to hear of Elaine's passing. I worked with her many years ago at Monty's and she was just a joy to be around and work with. My thoughts are prayers are with you all at this time. My heart goes out to my cousins John Bob, Donnie and especially Ronnie, who has been a brother more than a cousin. Your mom has had a major part in my life. I will miss her very much. I love you guys, and may God be with you in this time of loss. To Elaine's family, I am truly sorry for the loss you have shared.. I too worked with Elaine for many years and I will miss her. I do remember about the wet towel at work, I would always steal hers ....But I could always make her laugh.. Your family will be in my thought and prayers. I TRULY WILL MISS ELAINE I'VE KNOWN HER FOR 40 YEARS. SHE WAS A VERY GOOD FRIEND. COULD TALK TO HER ABOUT THE GOOD AND BAD. I MOVED TO NC IN OCT. BUT KEPT IN TOUCH BY PHONE JUST TO SAY HI AND SEE HOW SHE WAS FEELING. ELAINE I WILL MISS YOU AND OUR TALKS. BUT YOU WILL HAVE NO MORE PAIN. YOU TAKE CARE OF YOUR BUDDY DALE AND DONALD FOR ME. DON'T YOU GUYS TALK ABOUT RACING TO MUCH. MY PRAYERS ARE WITH YOUR FAMILY. My family and I want to extend our deepest sympathies to the Gray family--especially to my mother Norma and her siblings. Please know our thoughts and prayers are with you all at this sad time. You are in our prayers and thoughts. May Our God give you comfort at this time of loss. Matthew 5:4 says, "Blessed are those that mourn for they shall be comforted." May His loving arms surround you and give you peace. God bless each of you. I've thought of you often. I'm sorry for all your boys and their wives. I'll always remember the good times we had from Monty's to the Rail and all the other visits that we had together. I'll miss you but I'll see you again I'm sure. You were the best girl. Our sympathy goes to the Gray family & friends.